How Many Calories Are in Vodka & Cranberry Juice? Vodka is a low-calorie spirit, but it isn't often served straight. Cranberry juice is commonly used as a mixer with vodka. The calories in vodka and cranberry juice will depend greatly on the type of juice you use. According to the website FitDay, there are approximately 64 calories in a 1-oz. serving of vodka. This amount can vary slightly since vodka can be made from many ingredients, including wheat, barley and even milk. The Fat Secret website lists a 1-cup serving of cranberry juice as having 137 calories. An 8-oz. serving of unsweetened cranberry juice provides 116 calories. Cranberry juice is also available in low-calorie versions. These drinks have fewer than half the calories of regular cranberry juice; however, they may contain other fruit juices. 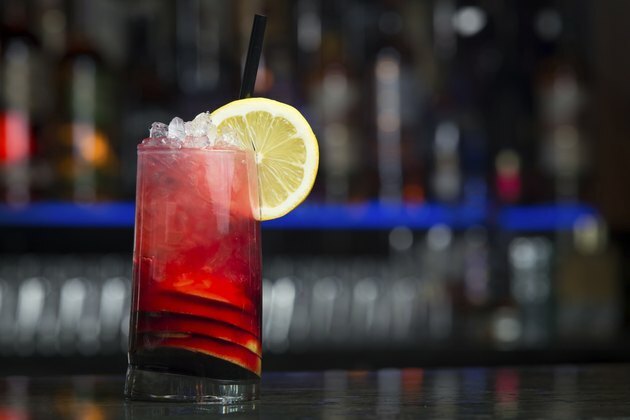 Only consume cocktails such as vodka and cranberry juice in moderation, as the American Council for Drug Education cautions that alcohol can cause neurological, cardiological and respiratory problems. FitDay: How Many Calories Are in Vodka?